Allied Autocare™ has launched a unique new service for Ford and Peugeot customers across the UK. 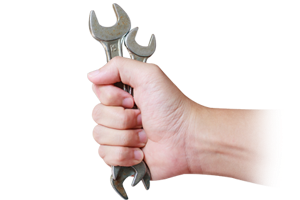 If you’re looking to have your car or van serviced then you don’t need to worry about getting to the garage anymore – we’ll come to you. We’re helping motorists and businesses with a fleet of vehicles to save time and money by servicing cars and vans at a time and place that suits you. Working across the whole of the UK our fleet of mobile service vans are fully equipped to carry out diagnostic tests, selected warranty repairs, safety re-calls and software updates. It’s just like taking your car or van to the local garage, except we’ll come to your chosen address at a time that suits you. 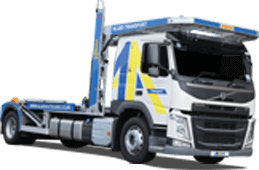 It doesn’t matter if that’s your home, workplace or even your depot or yard, our technicians will be able to service your vehicle and get you back on the road in no time. We’ll come out to your home or work address and save you the hassle of visiting the garage. There’s no extra charge and our experienced technicians will carry out the maintenance in your street, on your driveway or office carpark. We also offer mobile servicing to businesses and organisations with a fleet of Ford or Peugeot vehicles. We’ll help you to save on down-time, minimise lost revenue and keep down fuel costs by servicing your fleet at your office, yard or depot. Our team of mobile service technicians is fully qualified and dealer approved, so you know you’re in safe hands. They’ll inspect and service your vehicle at the roadside. Mobile Service Manager, Jamie Dey, commented: “We’ve had a really positive reaction from customers who’ve had our mobile service technicians visit them. It takes the hassle out of looking after your vehicle and saves you money and time.